I remember when I was a kid, my mom would always turn phrases into a threat. If I would say “hey mom, I want some Subway,” she would say “I’m going to Sub your Way.” Does anyone else have a mom that does that? Or is mine just completely weird (just kidding, love you ma). 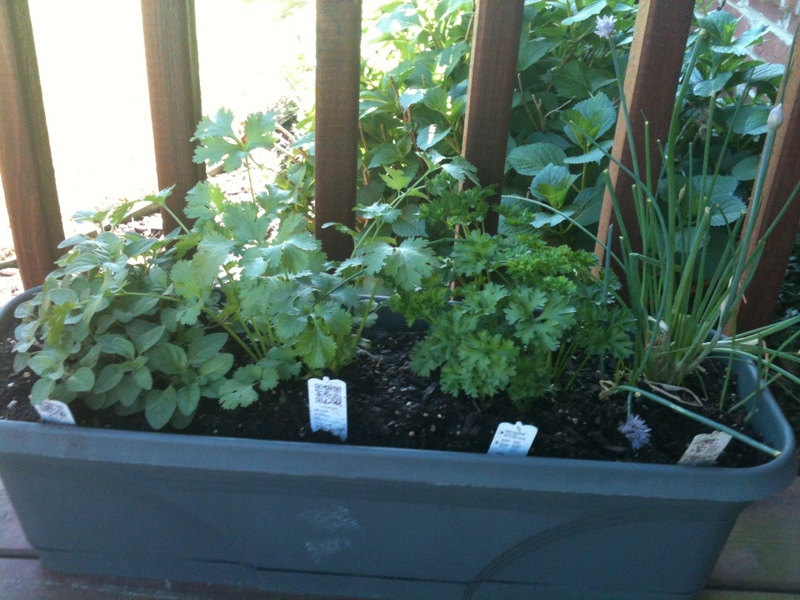 Monday night I gave in and snipped back my herbs, (which was very hard for me to do) and used them in my first recipe! My mom told me that I need to begin to snip them back to make sure that they have strong roots. 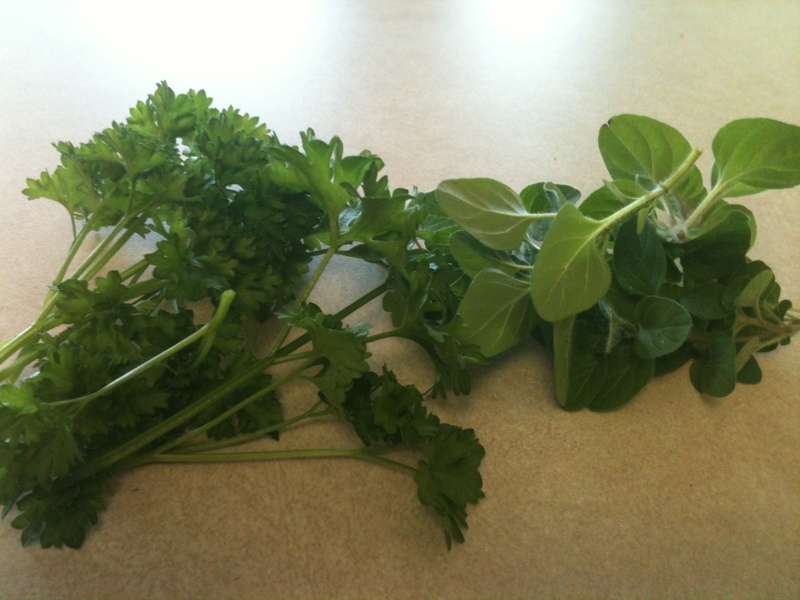 A herb that has really tall growth at first will be top heavy and have less sturdy roots. Therefore, I did as I was advised and plucked them back! 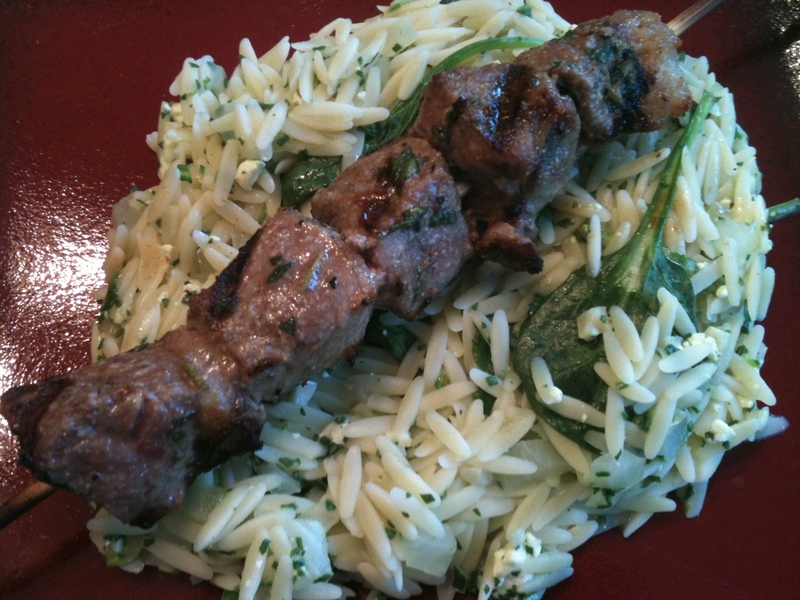 I used some oregano and parsley in this recipe, and put some cilantro in the fridge. 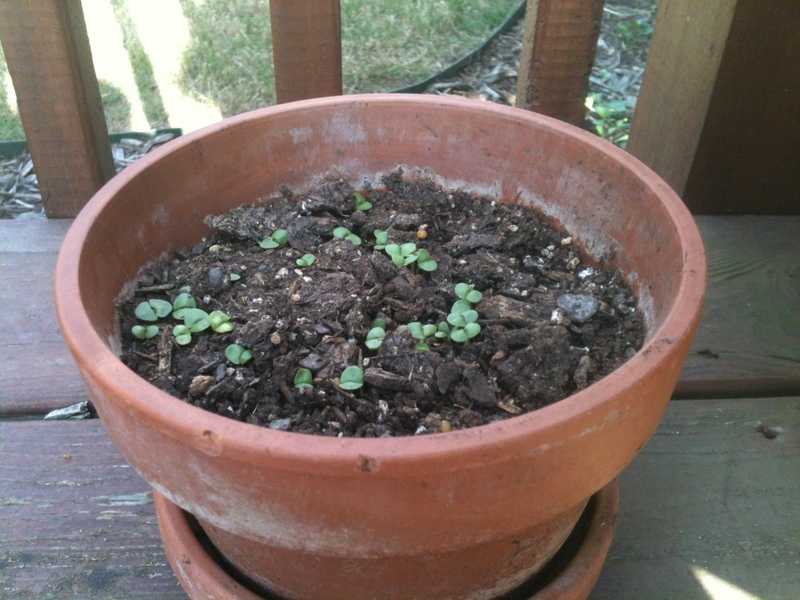 You can see in this picture that my basil is really starting to sprout up! I think I’m getting really lucky with those. 1. 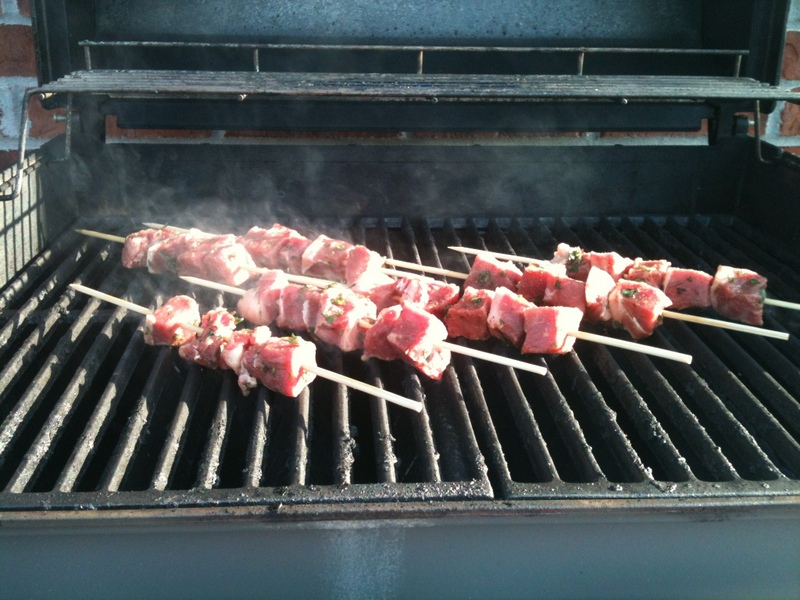 Preheat the grill to a medium-high heat. 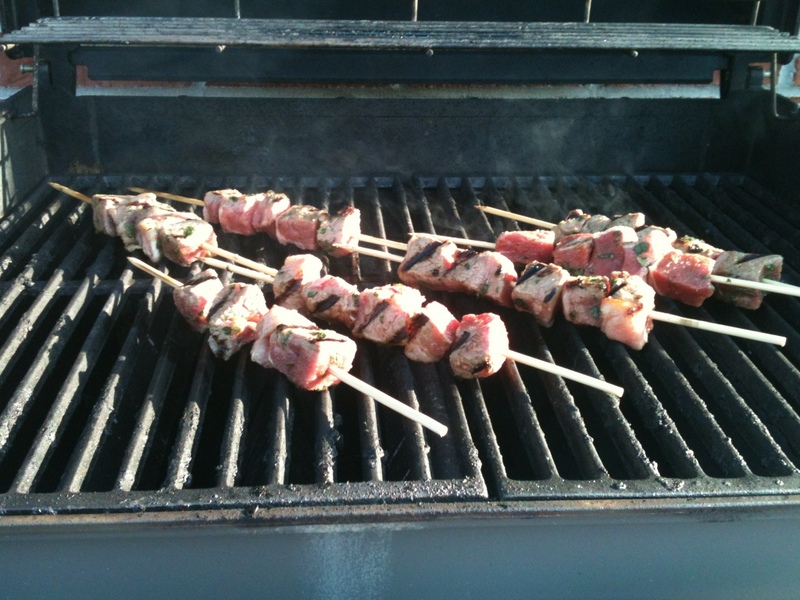 Soak wooden skewers in a bowl of water for 20 minutes (or use metal skewers). 2. Bring large pot of water to boil over high heat and add in the orzo. 3. 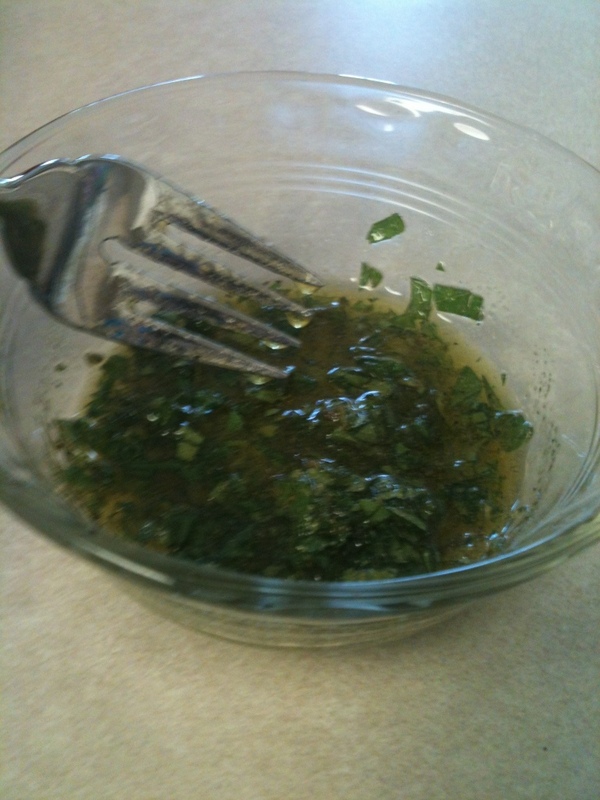 Combine oregano, 3 tablespoons EVOO, onion powder, garlic powder, and some salt and pepper. Toss the beef cubes in the mixture to coat. 4. 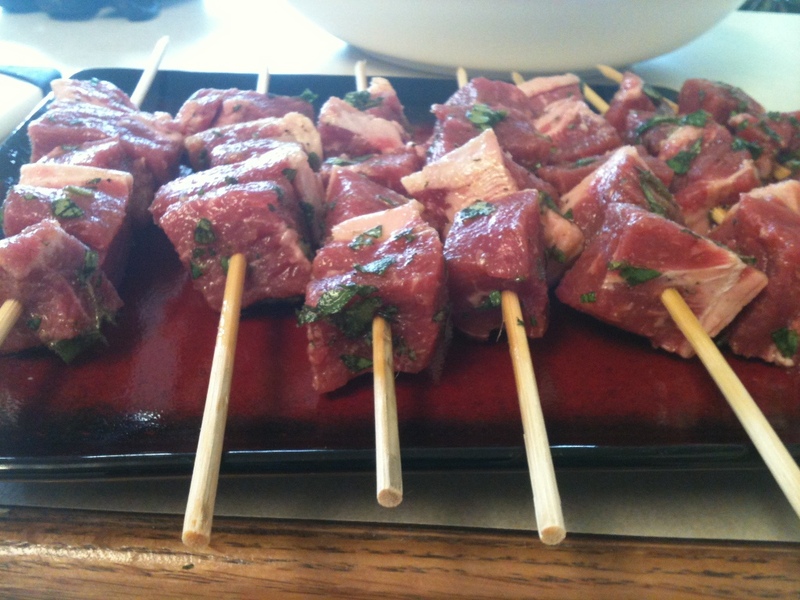 Thread the beef cubes on skewers and grill them 2 to 3 minutes per side. 5. While the beef is cooking, place a large skillet over medium heat and add in the remaining EVOO. 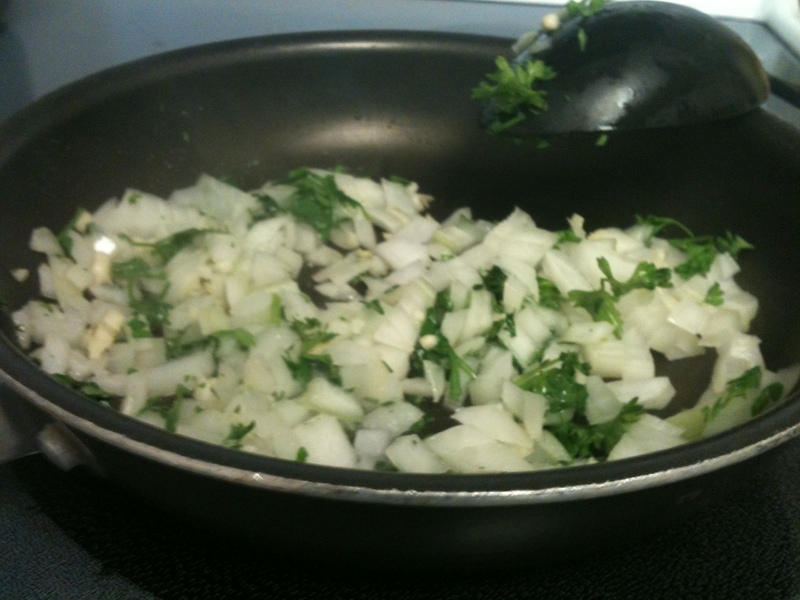 Once heated, add in the onions, garlic, and parsley. Cook 5 minutes. 6. 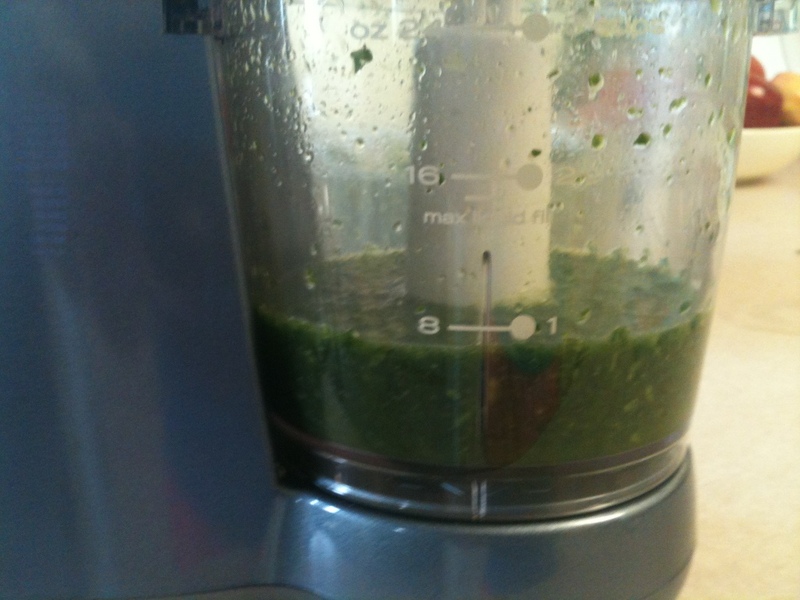 Add stock and 2 cups spinach to a food processor and process until smooth. 7. 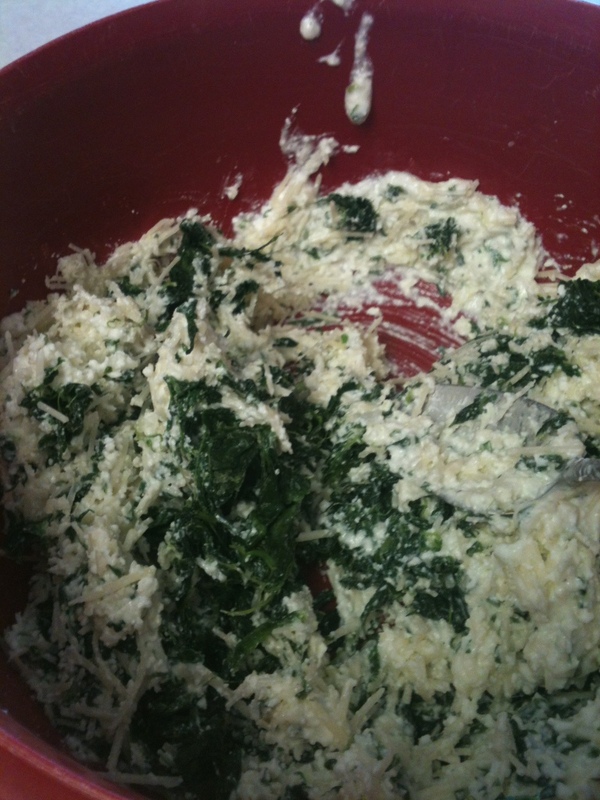 Add the spinach puree to the onion mixture and warm for about 30 seconds. 8. 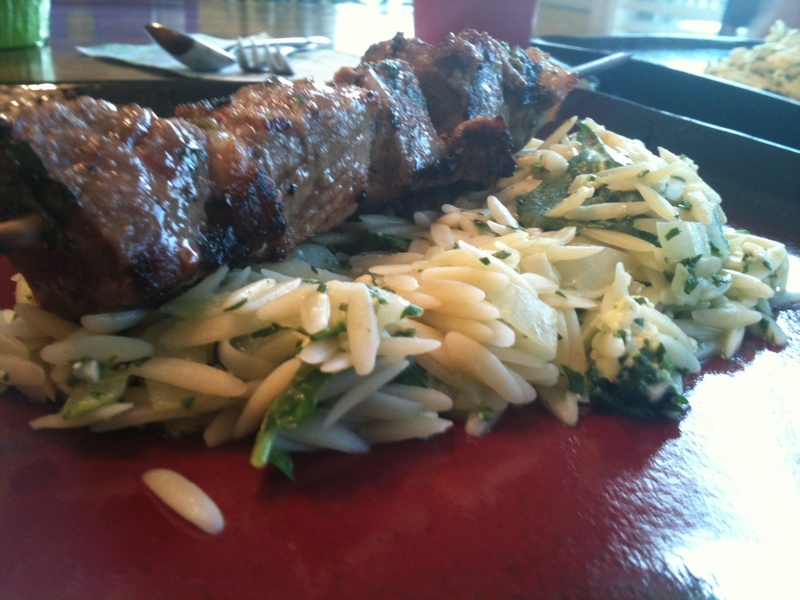 Add the onion/puree mixture into the orzo and serve shish kebabs on top of the orzo. This was one of those meals where you definitely wanted a bite of both the meat and starch. The mixture of the tastes were so amazing! I hope everyone else enjoys it! This is a great spin on a classic meal. 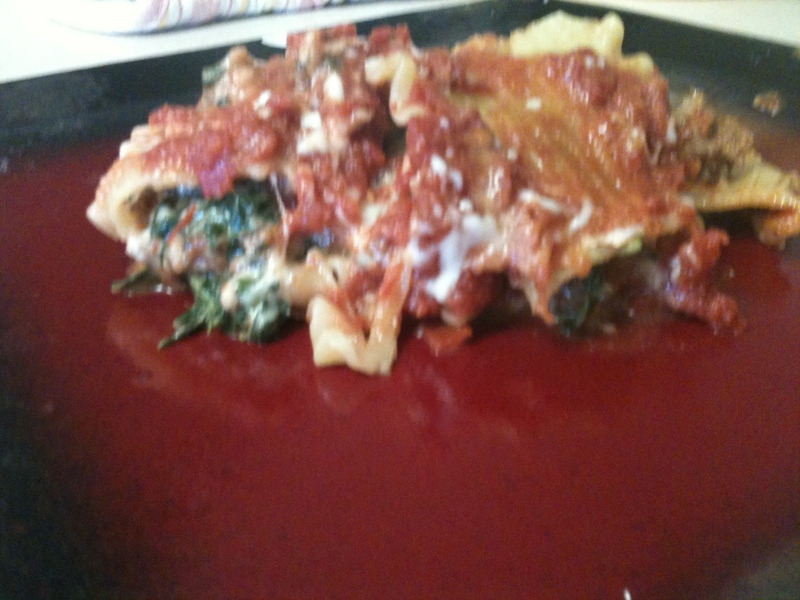 I loved the addition of Italian sausage and spinach to this meal. Very delicious! *my grocery store is ridiculous and doesn’t carry ricotta cheese, so I substituted this with a mix of 3 Italian cheeses they sell. Preheat the oven to 350 degrees. While it is heating, bring a small pot of tomatoes, chicken broth, whole basil sprigs, garlic, red pepper flakes, salt, and pepper to a simmer. Cook until slightly thickened; about 10 minutes. While the tomato sauce is cooking, coat a large nonstick skillet with nonstick cooking spray set over medium heat. Cook the sausage and ¾ of the onion. 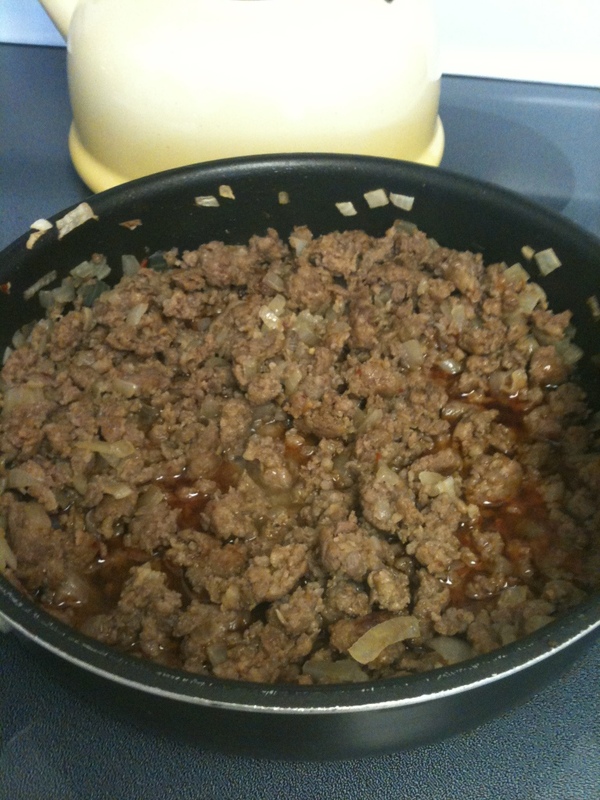 Break it up into small pieces, and cook until the meat is browned and the onion is tender (10 minutes). After it is done cooking, pour the sausage and onion on a plate covered with paper towels to get off all the excess juices. Meanwhile, puree the cottage cheese in a food processor until smooth, then add the ricotta cheese (or whichever you have), spinach, ¼ cup chopped basil, remaining onions, salt and pepper. Assemble the lasagna. Mist a 9x13inch baking dish with nonstick cooking spray. 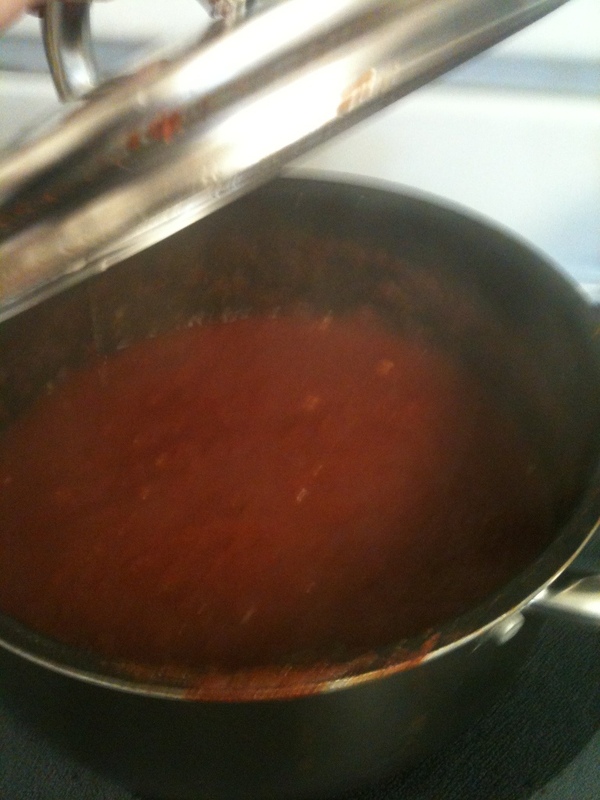 Spread enough tomato sauce to cover the bottom of the dish. Top with 3 noodles, half the cheese mixture, half the sausage, and shredded mozzarella. 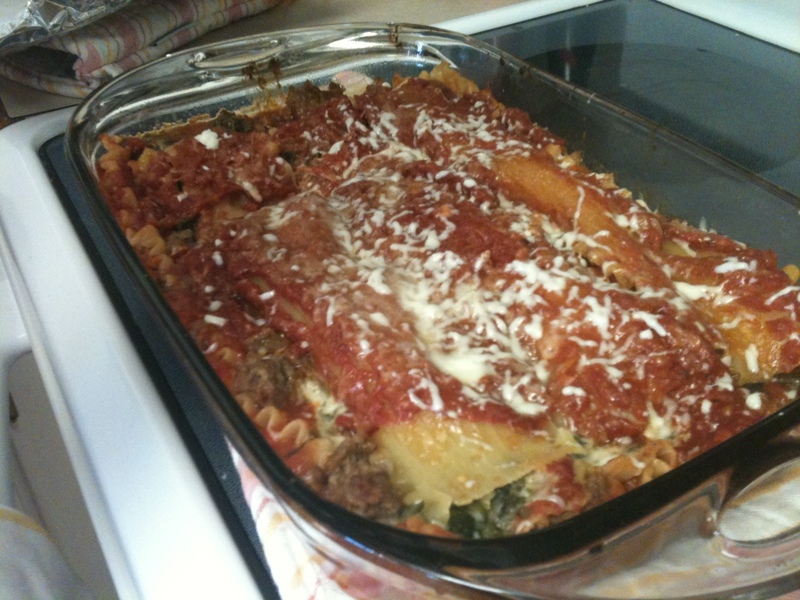 Repeat layers with sauce, noodles, remaining cheese, sausage, and mozzarella. Top with remaining noodles and sauce. Cover with aluminum foil and bake until the noodles are tender and the sauce is bubbling around the edges of the pan (the recipe called for one hour, but it only took mine about 45 minutes). Uncover, and sprinkle with remaining mozzarella. If you live your cheese a little burnt on top then you can put it back into the oven until your liking. Otherwise, the cheese will melt a little on its own thanks to the heat coming from the lasagna.